TODAY, a group of spectacularly fine ladies, including meeeee have teamed up with Erin to give a pair of these classic boots away to one of you lucky readers. 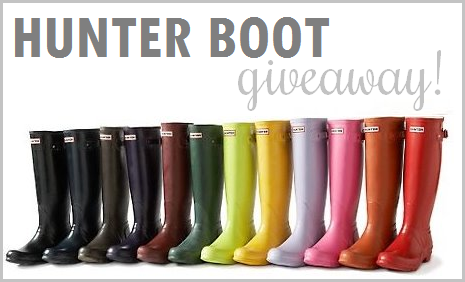 That's right, you could win a pair of Hunters in your color choice for free! All you have to do is complete as many entries as possible to give yourself the highest chance of winning a pair of these beauties. And while you're at it, get to know the awesome group of bloggers that love Hunters just as much as they love being kind enough to give a pair away. This is so awesome, I am drawn to the yellow but I am more of a pink girl. I'd choose the yellow one! On I love them all! I'm drawn to the chartreuse, but I love the red!! ahhh this is a great giveaway! i'd totally want a fun color. like the yellow or green or purple!! I love Hunters and they have the cutest colors! I am sooo excited about this. I was literally just looking at the pink boots online!! I'm crossing my fingers! Ohhh I think I would do red or the light brown next to the red! i want them ALL! but i'd probably get something with a pop.. like red! I have been dying to get my hands on a pair of Hunters. I have not been entering giveaways because I always end up heart broken, but this I made an exception for! BEST GIVEAWAY EVER, can only get better if I win! Oh an I got excited and forgot to mention my color I think it would have to be pink or the Mint that I have been stalking on the internet! 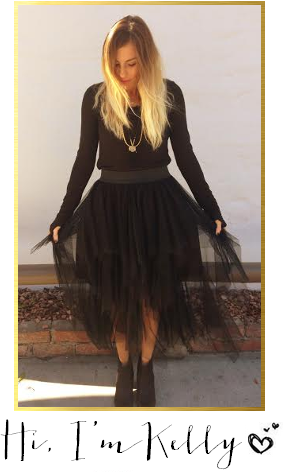 I think I would most likely wear black but yellow would be a ton of fun too! I have wanted Hunter boots for a long time! Especially aqua, although if it came right down to ordering some, I'd probably have a hard time committing to a colour. Id love the lime green pair!! Awesome! I think I'd go for the shiny red one on the far right! Thanks Kelly for hosting this amazing giveaway, I would love to do baby blue, pink, or metallic silver! Happy Valentine's Day! What an amazing giveaway! I'd love a black pair...or maybe the red if I'm feeling adventurous!! I would LOVE to win a red pair! They are so cute I love these boots! I have to go with classic black, or the bright yellow! Tough choice! Thanks for offering this giveaway...SO AWESOME! Tough call...thinking red or yellow! Probably the lime green ones. They're just so fun! I love the navy and the merlot!! It would be hard to pick. Thanks for the chance! Oooh red or pink definitely! Thanks for the opportunity! I really like the navy and burgundy ones! I would pick either the navy or burgundy! I already have a pair of red rain boots, so may go subtle with black!